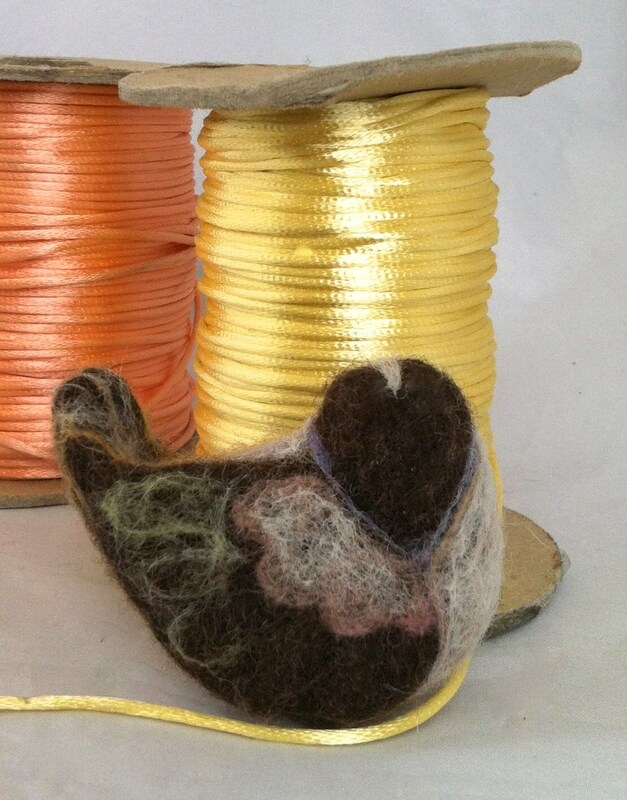 This sweet, wool partridge ornament is just waiting for *you* to make it a family heirloom. 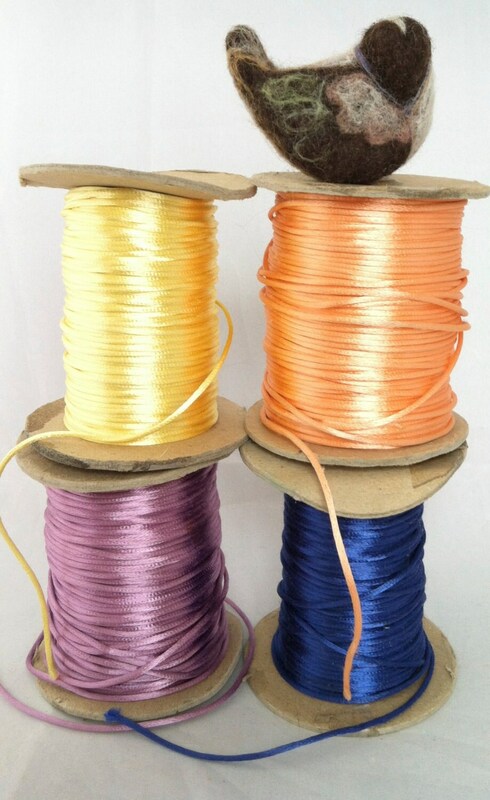 You choose the base color and the cord color, making them personal to your holiday decor. Because each is fabricated by hand, no two will ever be alike! 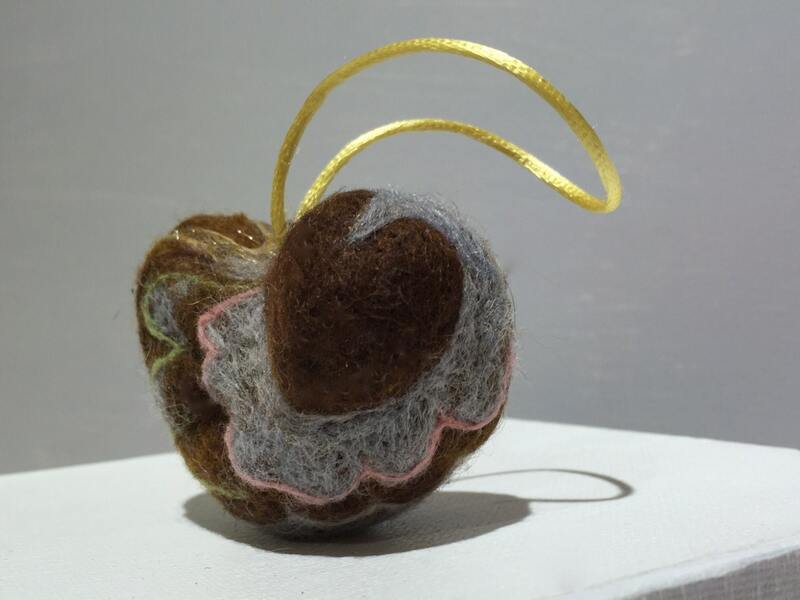 Made to order, this photo (brown with pastel colors) is an example of one we sold in our store :) Please allow up to two weeks before shipping your precious partridge. --It's not readily visible, but these have some 3D, relief/sculpted detail. I'm repeat buyer from this wonderful shop - this is a Beautiful bird!!! My sis is thrilled with her first ornament in her new home. Thank you so much Laura!! 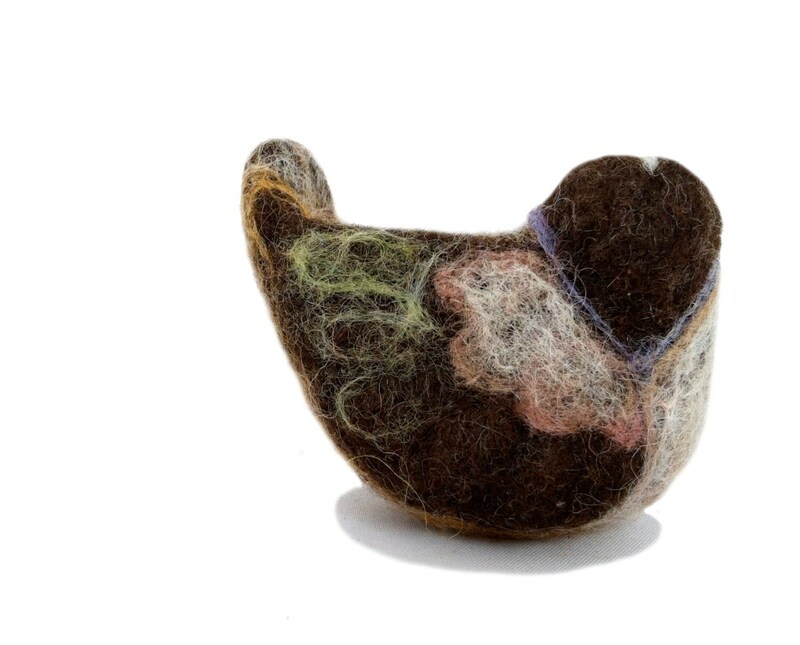 This wonderful felted bird ornament is sure to become a family treasure !! Laura is the best !!! The sweetest little bird. 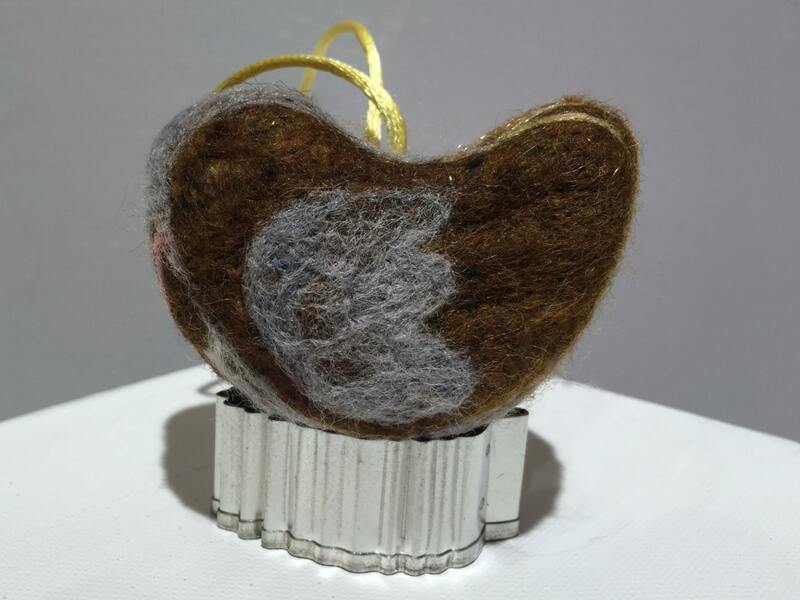 It will look so good on my tree. I don't think I can pack it away. This very real looking and very sweet. I hope you continue to make more as I would love to collect them.